Would your loved-one like to experience driving a powerful car? Have they always liked the idea of becoming a rally driver? 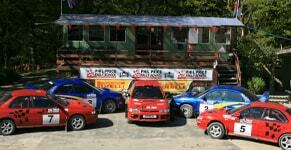 At Phil Price Rally School they’ll be racing around one of the most stunning tracks in the country. 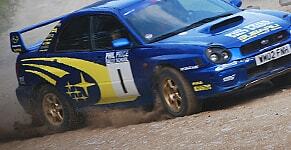 Nothing beats the excitement and glamour of rally driving and Phil Price provide the ultimate place to try it! With our gift vouchers, your loved-one will get the chance to drive on real forest rally stages and have plenty of time in the hot seat. Based in central Wales, we attract participants from all over the UK to our venue in Llangunllo. Over the course of the day, you’ll learn how to master a fully prepared Subaru Impreza. Our experienced instructors can teach you all the tricks you need to know, from power sliding and skid controlling to breaking and gear control. Once you’ve had plenty of practice, you’ll get to compete against other competitors and have the chance to walk away with a trophy. Our breath-taking rally stages are so good, they’re frequently used for pre-event testing! Perfect for birthday or wedding gifts, our driving experiences are guaranteed to give your loved-one an adrenaline rush like no other. Just make sure you come along to watch! Our team are dedicated to ensuring everybody has an epic time, including spectators. Book the ride of a lifetime today!